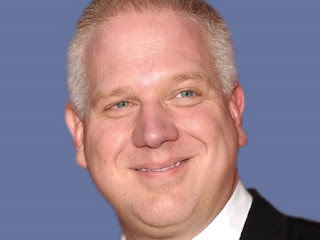 Glenn Beck went to see American Sniper recently, and he's unhappy with the "haters" on the left who are critical of the film. Today he said, "Americans are now going to ‘American Sniper’ and they are seeing it and they are seeing the animals...and the degenerates that we were going in and fighting against." After the five minute clip below will be a review of the film by Chris Hedges who is a much better writer to address the racism Beck is expressing about the victims of American aggression. Chris Hedges is a "hater," according to Beck, who wrote a highly critical piece about American Sniper. Hedges spent 15 years as a foreign correspondent for The New York Times reporting from from Latin American, the Middle East, Africa and the Balkans. He has also covered al Qaeda in Europe, and he was part of a team of reporters that won the 2002 Pulitzer prize for their coverage of global terrorism and was a National Book Critics Circle finalist for his book War Is a Force That Gives Us Meaning. He is a Senior Fellow at The Nation Institute and writes an online column for the web site Truthdig. He has taught at Columbia University, New York University, Princeton University and the University of Toronto. His piece below, "Killing Ragheads for Jesus," is reprinted here with his permission. For a review of the "half-truths, myths and outright lies that Hollywood didn’t see fit to clear up," see Chris Kyle: "I Only Wish I Had Killed More" on Reader Supported News.